A Limited Edition Les Paul that is Rock by name, Rock by nature. Attention Gibson lovers and collectors, potential investment. 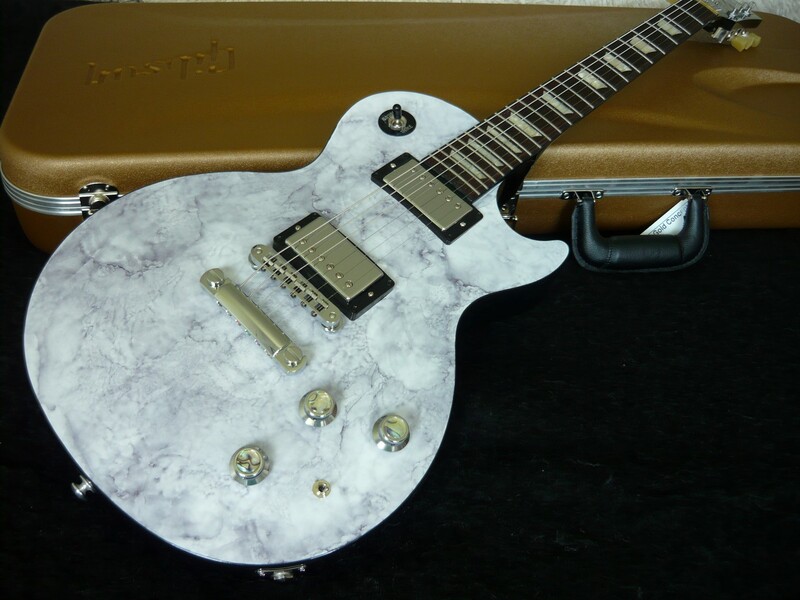 2015 GIBSON Les Paul Classic Rock II - LIMITED EDITION - Blk/Wht Marble. Brand new, unplayed, not been a demo, 100% mint. The Limited Edition Les Paul Classic "Rock" II from Gibson USA takes this popular model's marriage of timeless appointments and hot-rod features and kicks it all over the top with a stunning marble top finish. Black binding, chrome knobs with abalone inlays, and pearl trapezoid fingerboard inlays combine to enhance this scorching guitar's exclusive appearance, all gracing the traditional complement of carved maple top and mahogany body with traditional weight relief. The Limited Edition Les Paul Classic "Rock" II taps into unseen capabilities and unprecedented versatility when you dig deeper into the clever wiring behind this versatile guitar. A Burst Bucker 1 in the neck and hotter Burst Bucker 2 in the bridge are routed through individual volume controls with push-pull coil splitting for single-coil tones, and beside the master tone lies a mini-toggle to engage the built-in 15 dB Turbo Boost. G-Force™ automated tuners and a new-for-2015 zero-fret nut round out this brilliant blend of innovation and tradition. Each guitar is hand numbered with a three-digit number indicating its place in the total number of guitars made.